The CIMA Training and Development accreditation scheme recognises and promotes organisations who support the lifelong learning of CIMA students and members. To achieve sustainable business growth you need the right people but the market for talent has never been more competitive. 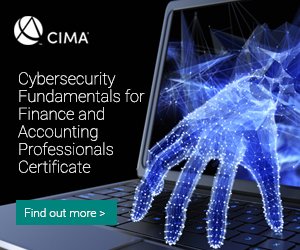 The scheme helps your organisation attract and retain CIMA students and members by supporting their learning and by ensuring their professional development. The CIMA Training and Development accreditation scheme, which recognises and promotes your support for lifelong learning, offers a great opportunity to attract, develop and retain CIMA members and students into your organisation. Stand out from the crowd; help your CIMA people to greater exam success, application of learning, job fulfilment and better results. Attract the best, develop the best and retain the best talent. Help your business achieve sustainable and responsible growth by applying for accreditation today. The CIMA Training and Development accreditation scheme is designed to help your business help its CIMA members and students to succeed. This means that you get more CGMA professionals in your business, providing you with the talent you need to drive growth.